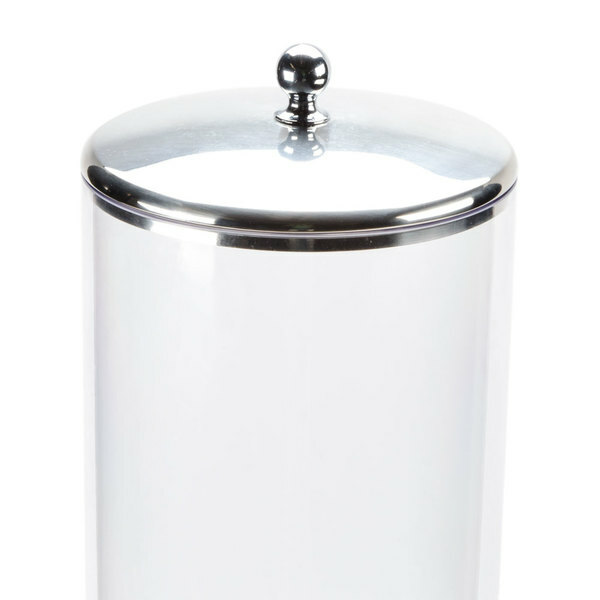 Capacity per Compartment 50 oz. 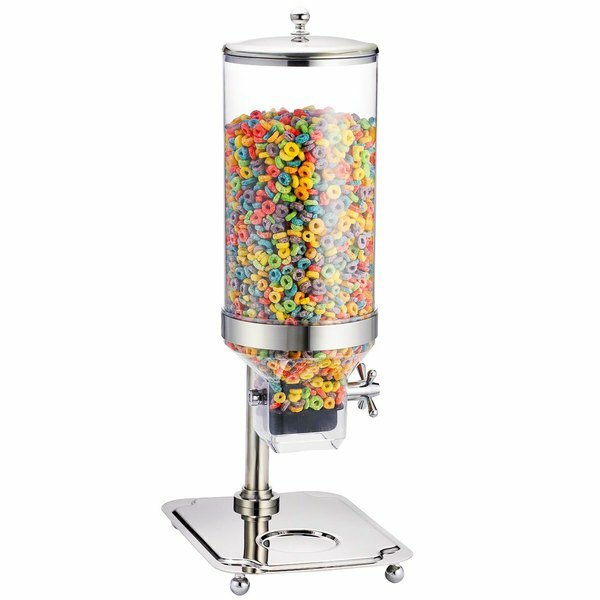 Serve anything from cereal at your hotel breakfast bar, to trail mix and candy at your confectionery shop or bakery with this eye-catching Tablecraft 9 liter cereal dispenser. 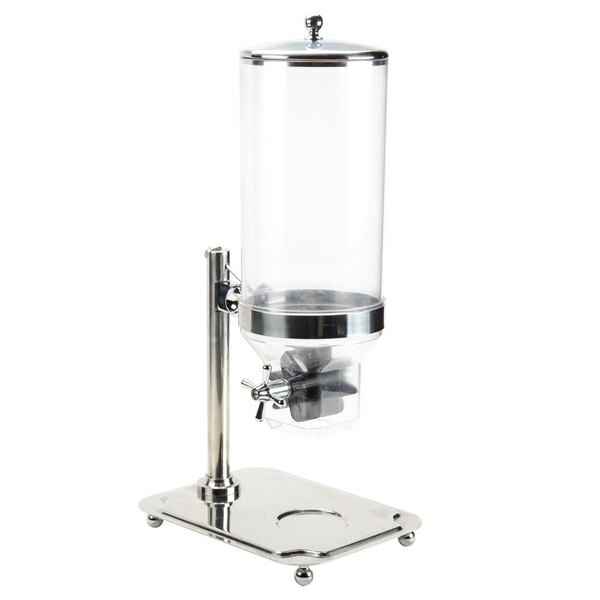 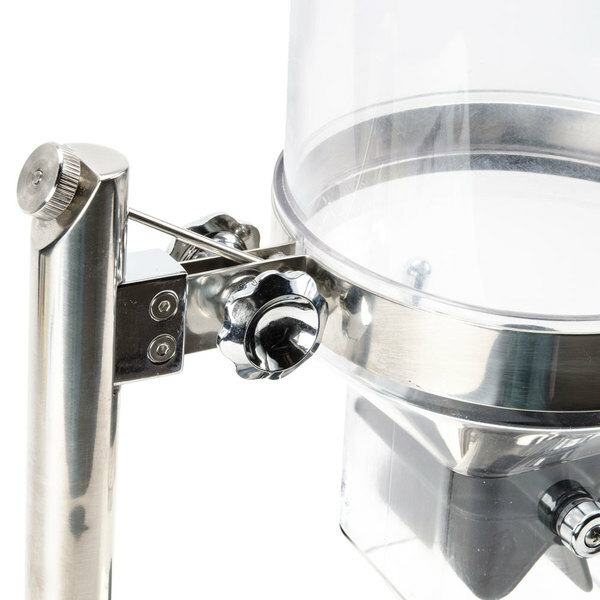 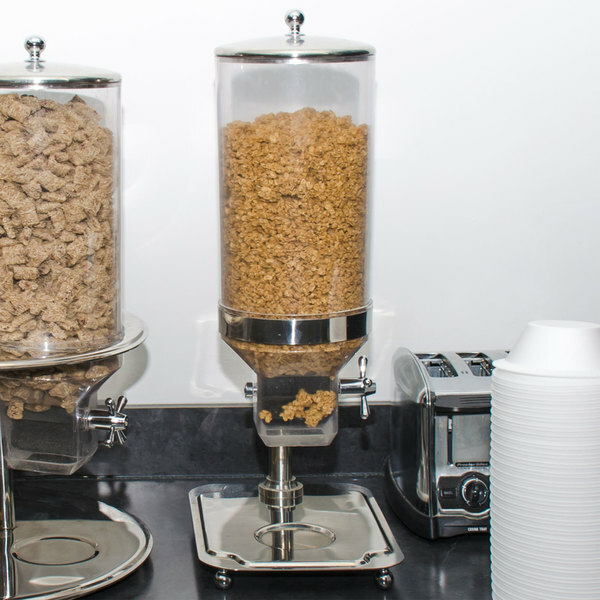 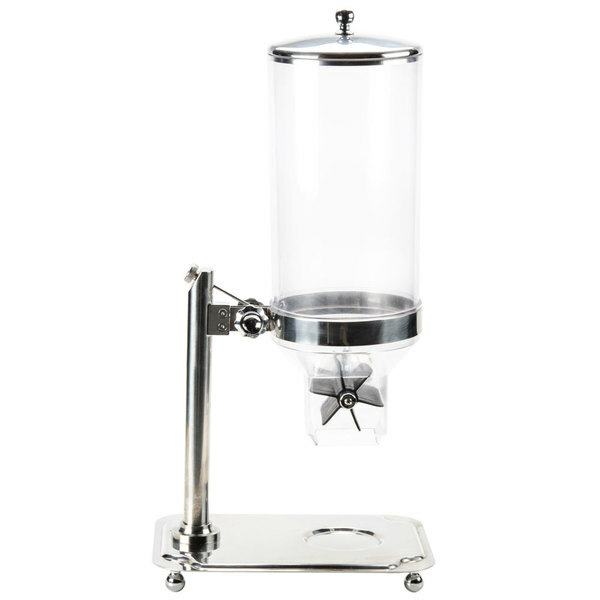 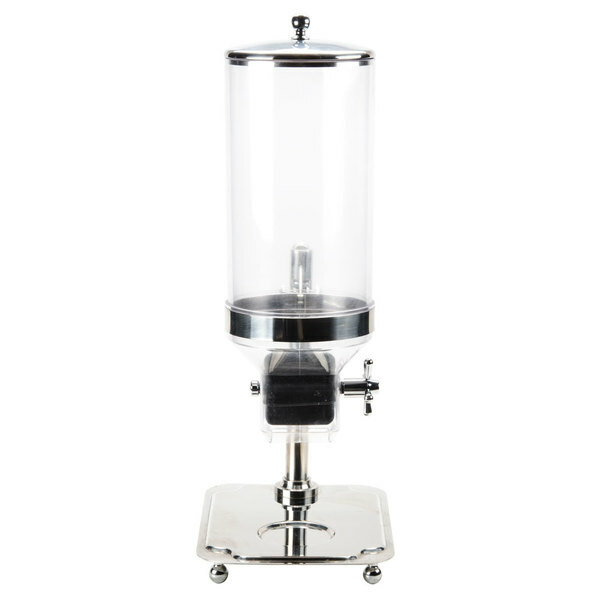 The Tablecraft 9 liter cereal dispenser's attractive stainless steel body complements any decor, and the crystal clear polycarbonate canister provides exceptional product recognition. 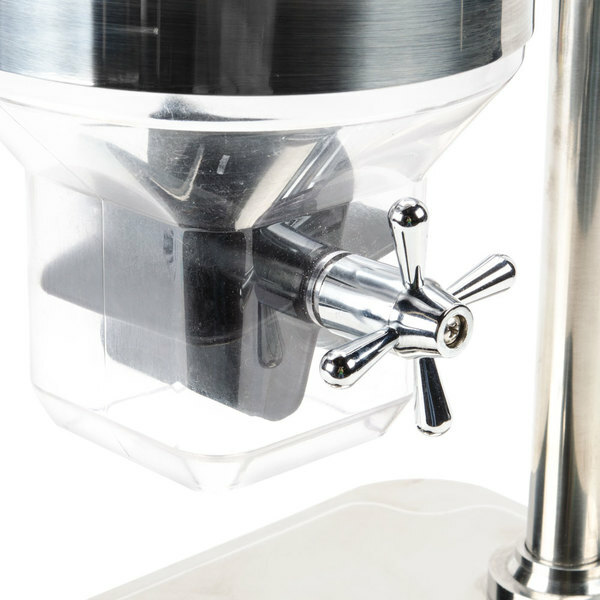 Its simple turn-style dispensing knob dispenses a measured amount of product with each turn, to help control portion size. 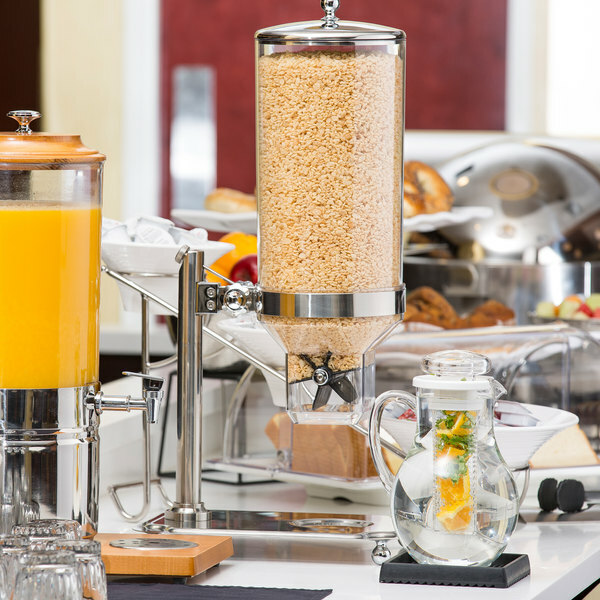 This works very well when we are just setting up for a few guests and not our normal 100 something! 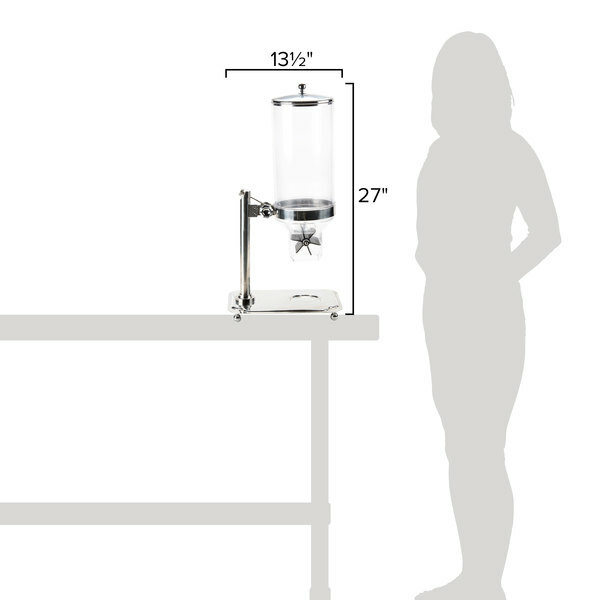 I love how easy they are to clean and really clear up counter space!